Free My Beautiful Boss, My Friends and Colleagues at SCM! My boss, Mazen Darwish, head of SCM. As you might have heard, the office in which I work at was raided by Air Force security branch on Thursday 16-2-2012. 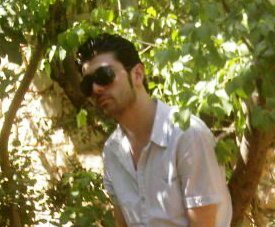 My boss, friend and mentor, Mazen Darwich, along with 8 male colleagues and friends, are still in detention since that day at air force security branch, known to be the worst security branch in Syria. I spent only 3 nights there along with five other female colleagues, those three nights were the longest hours of my life. You know that I was detained previously for two weeks, which was my first experience with detention, but those 3 nights at air security branch were the worst in comparison to my previous detention. Below is SCM statement with regards to the raid and the arrest of our male colleagues, please share it with whomever you think might be helpful in getting the word out around the world. Abdel Rahman Hmada, 2nd Detention. Best friend. In a new escalation against freedom of expression and media work in Syria, the Office of the Syrian Center for Media and Freedom of Expression (SCM) in Damascus was raided on Thursday 16 February at approximately one and a half PM by agents of the Air Intelligence Intelligence (Mazzeh branch). The raid, that was carried out by members of the security apparatus along with a group of armed men, who caused panic and fear among employees and visitors of the center, especially since the officer in charge did not disclose the arrest or search warrants that are supposed to be issued by a public prosecutor. Hussein Ghrer, blogger, 2nd detention, friend & colleague. The security forces took the IDs of SCM employees and visitors in addition to their mobile phones. They were prevented from proceeding their work and were asked to gather in one room until 4 PM; they were transferred to the Air force Intelligence detention center of Mazzeh then. 6 – Hussein Gharir, graduate at the Faculty of Information Engineering. 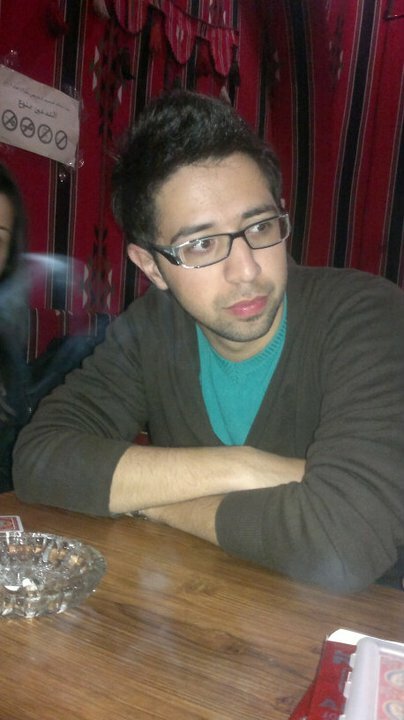 7 – Mansour Al Omari, English literature graduate from Damascus University. Two visitors were also arrested; Shady Yazbek (student in medicine) and Hanadi Zahlout. Shady Yazbek, our visitor, he was detained as well just because he was at the office. Female employees working at the center were released on Saturday 18 Feb 2012 around 10 PM (Yara Badr – Sanaa Mohsen – Mayada Khalil – Razan Ghazzawi) in addition to the visitor Hanadi Zahlout on one condition that at they are to show up at Air force Security every day from 9AM to 2PM for further investigation until unspecified date. Rita Dayoub was released. The arrest of the President of the SCM, “Mazen Darwish,” and male colleagues and visitor, however, continues: Hani Zitani – Abdel Rahman Hamada – Hussein Ghrer – Mansur Al Omari – Bassam Al-Ahmad -Ayham Ghazoul – Joan Fersso, and the visitor Shady Yazbek are still in custody. 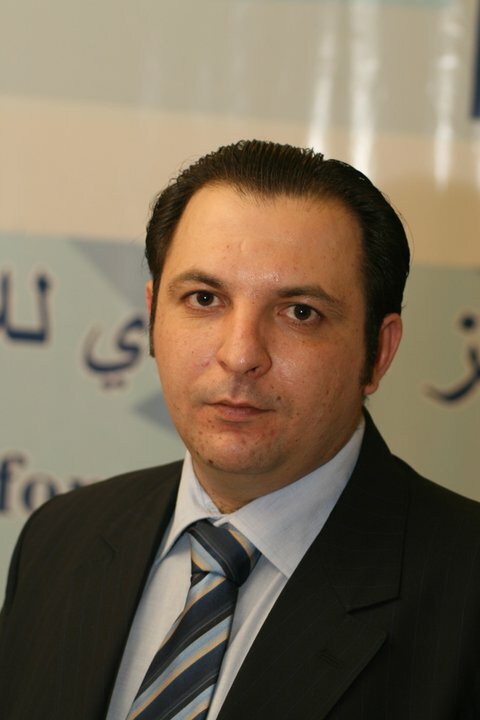 The Syrian Center for Media and Freedom of Expression strongly condemns the raid conducted against its office as well as the ongoing arbitrary detention of the journalist Mazen Darwish and its staff. SCM expresses its deepest concern regarding the fate of persons remaining in detention, demands the Syrian authorities to release all detainees immediately and unconditionally, and holds the Syrian authorities fully responsible of the psychological and physical conditions of the detainees. The center calls upon the Syrian authorities to put an end to arbitrary arrests and harassment of journalists, media workers and freedom of opinion and expression advocates. Finally, the Syrian Center for Media and Freedom of Expression expresses its gratitude to all institutions and individuals who have expressed solidarity with the Syrian Center for Media and Freedom of Expression against such oppressive policies. Razan, I admire your courage and tenacity and that of your colleagues. I will repost on my blog. Stay safe. Standing with you, reblogged and posted to my FB page (5000 friends). Respect!